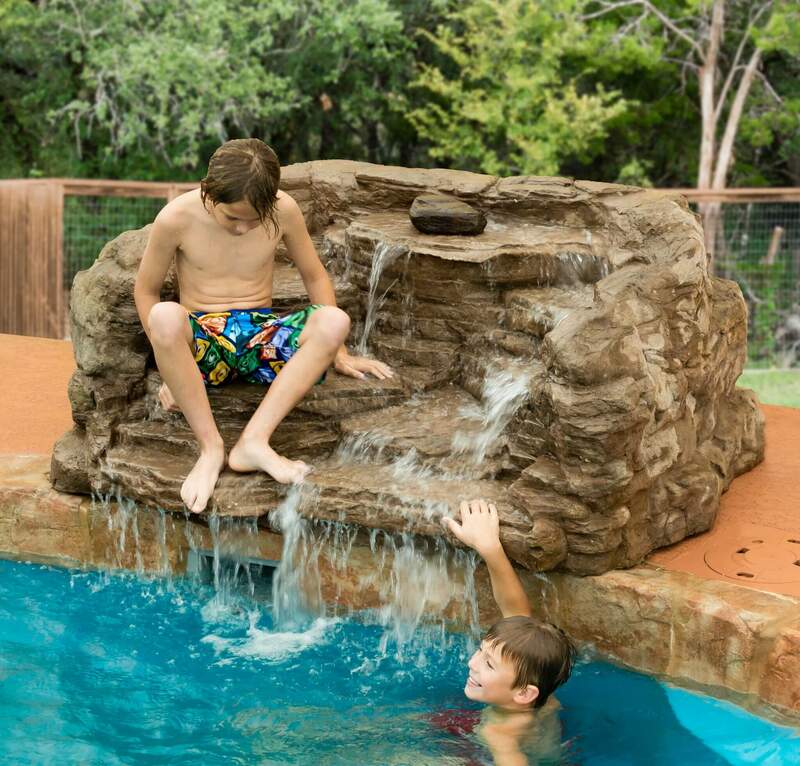 Low profile waterfalls with lots of water action become the focal point of a swimming pool, and they can be used for seating or play because they are made of cast concrete. 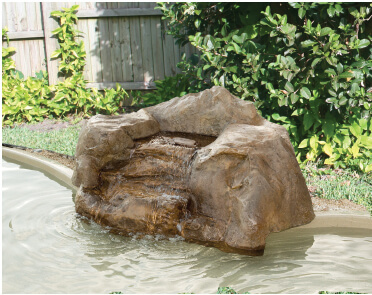 Water cascades from both corners with shelves designed for kids or pets to sit in and enjoy the moving water. Dimensions: 5ft8in wide x 3ft10in deep, 28 inches high. Optional driftwood fire feature shown. 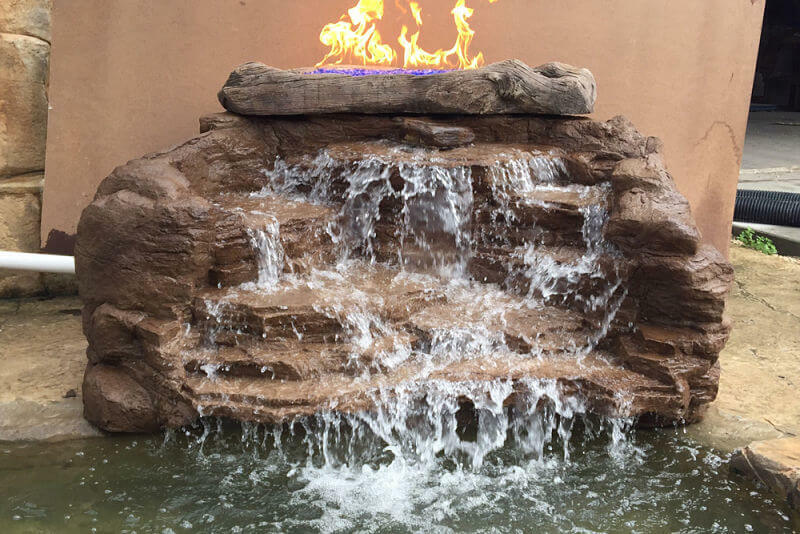 A large boulder with small waterfall effect, shown here with an optional 12 inch Fire Effect. 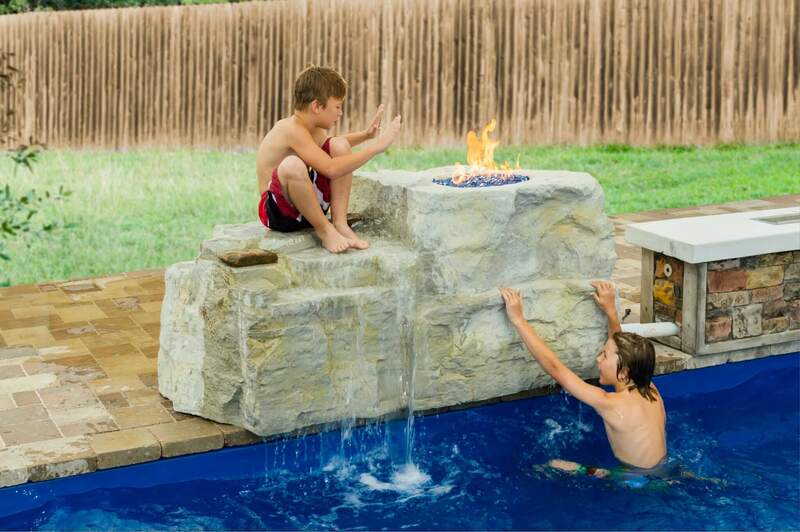 Built of durable concrete this is safe to use as a jump rock if pool depth allows. Cover plate for fire ring not shown. The access panel on the back allows storage of a propane tank. 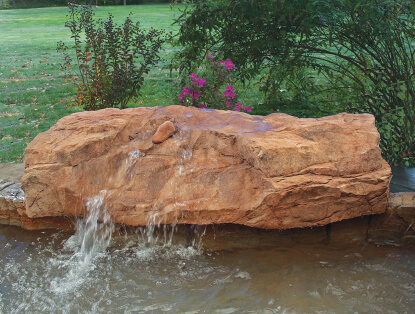 A natural stone bench with a cascade that works with either a large or small water flow. A smooth boulder mass makes this a great waterfall to climb on. 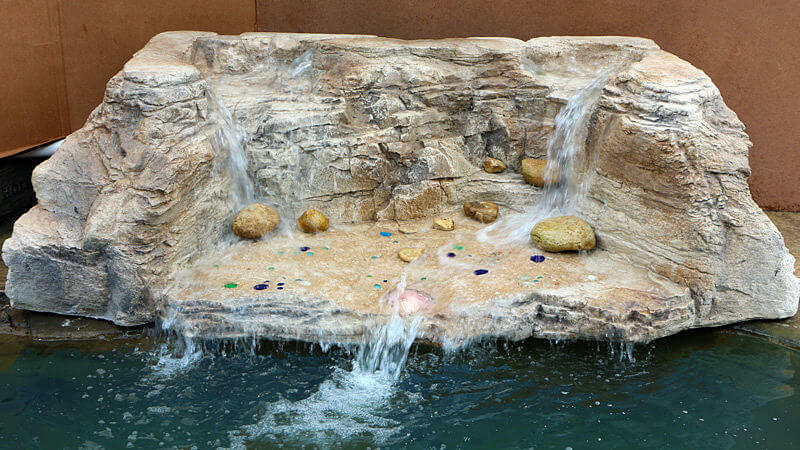 The waterfall sound mimics a natural stream. Access panel on backside. The sands of Laguna Beach, CA have high hills on three sides that mimic the contours of this waterfall. 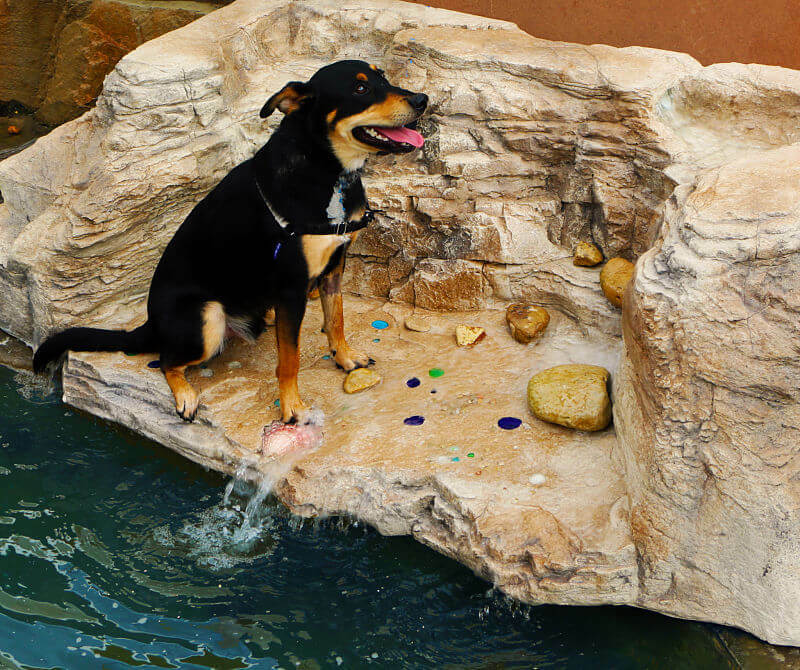 The large flat shelf is great for sitting and is available with a beach finish, complete with seashells, sand and colored pebbles with a sandy finish. Small cobbles can be added but we recommend they be secured with construction adhesive to prevent them from rolling around (not included). Dimensions: 6ft9in wide x 3ft8in deep, 24 inches high.